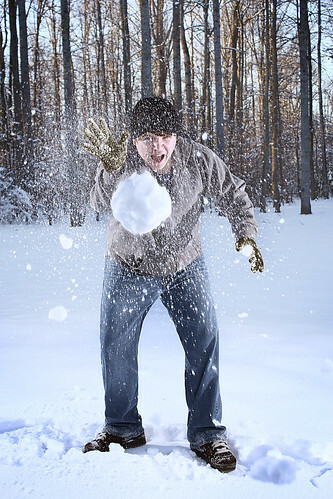 When a snowball rolls down a hill, it grows bigger because it picks up more and more snow as gravity takes it down the incline. Getting heavier and heavier, the snowball is prone to take on more and more snow as time goes on. Your product launch should not stop at the top of the hill. And it’s the add on products you create which will help you build a larger snowball and start moving down the hill. If you’ve taken the time to look around the internet, you’ve probably realized one thing: some gurus just add on any product and hope that people buy it. They take advantage of people who think that once they buy everything you have to offer, then they will be ‘fixed’ in some way. Though this is certainly a logical way to think, if you want to be a bona fide internet marketing guru, you want to offer add-ons which not only help your community, but which are going to continue to enhance your credibility. What secrets lie behind product and bonus offers. What can you do today? The best time to offer add-ons would be at the end of the initial purchase since the person is already committed to buying what you have to offer. However, some newer internet marketing gurus (including you, perhaps) can feel like this is a bit too pushy and they don’t want to scare customers away. Fair enough. If you’re going to offer add-ons, the best time to do it (besides right after the original sale) is a few weeks after people have had time to use, to read, and to explore the item they’ve already purchased. Once that initial shine has worn off, that’s when you should try to hit them with something new or something that will complement what they’re already doing or thinking of doing. No matter how you offer the add on, make sure that you are targeting those who have already bought from you in the past since they will be more likely to buy from you in the future. But spreading the information around to new people will also encourage them to think about making a purchase of your initial product, the one that launched all of the exciting add-ons. This add on should come right as the sales are starting to level off or when they are slowing down. That’s when people are ready to buy something new and they’re ready to expand the reach of the items they’ve already begun to enjoy. Many new internet marketing gurus have so many ideas; they don’t know where to start. Let’s look at some of the add-ons you could use to help enhance the experience of someone who has already bought an item from you. This smaller booklet will give the buyer more ideas about how to follow through on the advice they’ve learned. When the product is related to starting up a business, for example, you might include sheets about how to strategize for this startup. If you have certain items which need to be done in a certain order on certain days, it can’t hurt to include add-ons with these steps clearly marked. Many people love information, but then don’t know what to do with all they’ve learned. By included a thirty day startup plan, they will know exactly what to do, when to do it, etc. If you need to include certain tools to use (i.e. weights for an exercise program, etc. ), then encourage people to buy those after you have sold the initial product. When you want to give your community tools they can use on a computer, that’s a great add on. These might include discs of actual programs or simply a disk of files which can be used for future endeavors. Many internet marketing gurus are offering things that will continue to teach the owner of the product. This might be videos of you speaking about your product and giving more instruction, audio files of speeches you’ve given, etc. There are many things you can offer as add-ons which will allow you to have the most impact on those who have already bought from you or who are thinking about buying from you. These add-ons should be high value, offering content people can truly use, not just freebies which are going to be useless and make you look less credible as a result. That brings up a good point – should people pay for add-ons or should they get these add-ons for free. Honestly, this is entirely up to you. But if you look around at other internet market gurus, most of their add-ons which come after an initial product launch are going to be things customers will pay for. Paying for these add-ons makes sense when they are truly valuable. If you are offering solid and additional information to your customers, then it makes sense to ask for payment. Also, when you put a price tag on something, it increases its value in the eyes of outsiders. These add-ons should not be too pricey or be more than your original item, but a small cost for your time and effort will make them popular with your community and it will help you to continue to make money, even after the initial launch excitement begins to die down. When you want to snowball your success, it all comes down to one basic and simple fact: you cannot stop. Marketing is not something you can do and then walk away. Internet marketing takes time, patience, and dedication. You need to be visible at all times so that you’re visible for the long haul. And while you might not think that you need to do a lot of work once the momentum begins, those who settle for what they think they can get usually end up with less.